An icon is born? Burberry‘s latest fragrance, My Burberry, is billed as a translation of its own iconic trenchcoat. A woman in a trenchcoat, a garden in London, and the English rain – it was these quintessentially British images that drove brand CEO Christopher Bailey when he first started thinking about the fragrance My Burberry. The trenchcoat is, for many of us, the essence of Burberry. But what does this amount to in a perfume, and why create a perfume around it? Aptly then, the name My Burberry comes from the affectionate term for the brand’s iconic trench, long used by Burberry trench owners (including King Edward VII). “They never say, ‘where’s my trenchcoat?’ It’s always ‘where’s my Burberry?’” says Cattaneo. It is this familiarity and warmth that the brand hopes to capture in the new fragrance, which Cattaneo touts as “a trenchcoat in a bottle”. Visually, the trench leitmotif dominates the perfume’s design – the colour of the bottle recalls the trench’s honey-beige hue; its cap resembles the horn buttons; the hand-tied knot around the bottle’s neck is made of English gaberdine, the famous waterproof cotton fabric invented by Thomas Burberry over a century ago. Perfumer Francis Kurkdjian says My Burberry is strong and energetic. The task of creating My Burberry, so hefty with iconography, fell to Francis Kurkdjian. The master perfumer worked with the idea of rain, and the idea of a garden right after the rain. The result is a grand floral built round the rose – as English as it gets. The fragrance opens with fresh top notes of sweet pea and bergamot, before developing into a heady floral mix of quince and freesia with geranium leaves, which have a peppery, minty effect and are therefore rarely used in women’s perfumes. Base notes of rain-tipped damask roses and patchouli round off the scent, infusing it with a wet, earthy quality. 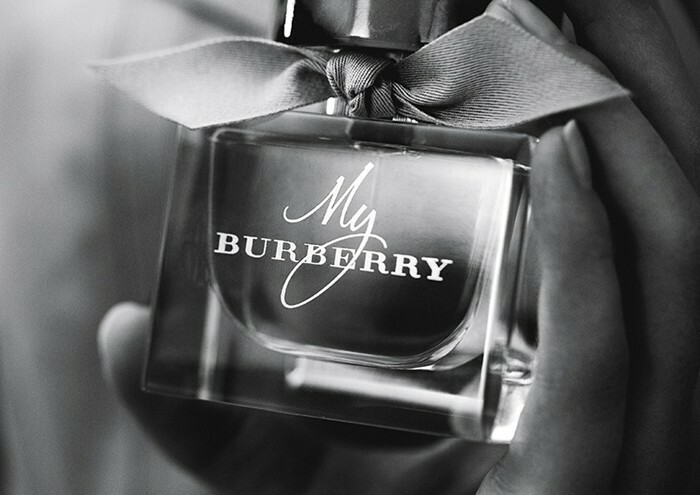 Though My Burberry is a substantial nod to British and Burberry traditions, Kurkdjian insists it is a modern fragrance: “It’s a bouquet of flowers, which is a classic structure, but the way the ingredients are put together is contemporary.” For Kurkdjian, this meant not only selecting appropriate flowers, but also removing elements he believes are old-fashioned, particularly the heavy and animal notes. To keep the fragrance timeless, he also refrained from using fruity notes, pronouncing that “at some point, overly fruity perfumes will be outdated”. This duality of modern and classic is also manifested in the brand’s decision to have both Kate Moss and Cara Delevingne – two generations of British and universal It girls – front the perfume’s ad campaign. Featured together for the first time, the two models represent for Burberry the diversity of the people who wear it, the different generations and, as Cattaneo puts it, “the transmission of heritage” between these. Shot by Mario Testino, the fragrance’s ad campaign features Kate Moss and Cara Delevingne in the Sandringham trenchcoat. 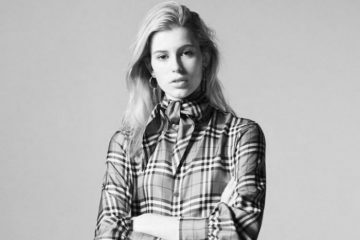 The brand’s commitment to combining beauty and fashion elements in My Burberry is hardly surprising, given its resolve to create a united Burberry brand. 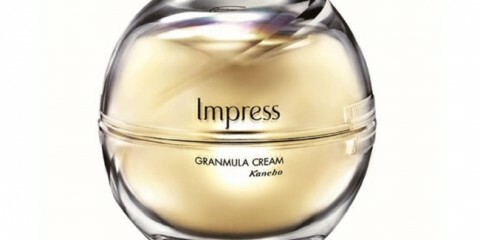 In 2013, the brand bought back its previously franchised beauty licence. Now, according to Cattaneo, Burberry aims to merge the best of fashion with the best of beauty. This began with Brit Rhythm, the first scent created in-house by the brand – and to underscore its rocker vibe, a capsule collection of studded leather jackets accompanied its launch. My Burberry is the brand’s most ambitious fragrance yet, billed as being to perfumes what the Burberry trenchcoat is to fashion. As “a trenchcoat in a bottle”, the fragrance is positioned to become an icon in its own right. My Burberry was created as an essential – practical for any occasion and unfailingly stylish.